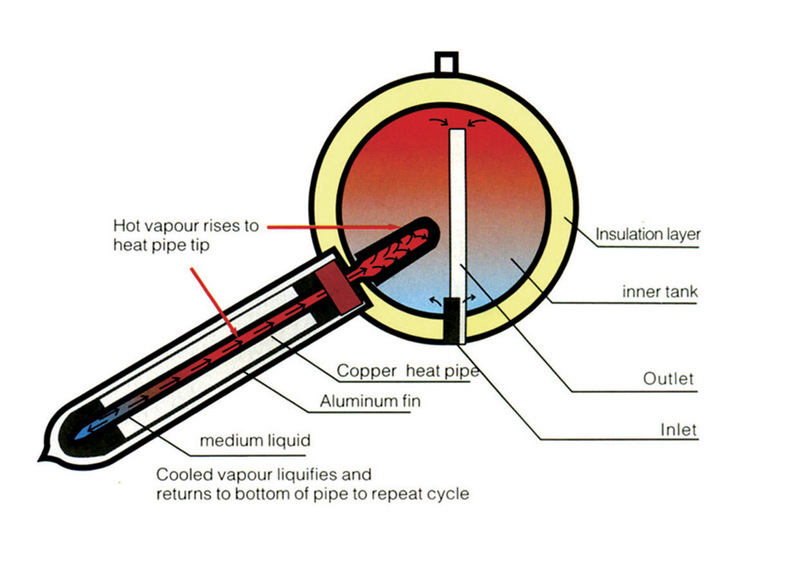 Most Efficient Vacuum Tubes Made! 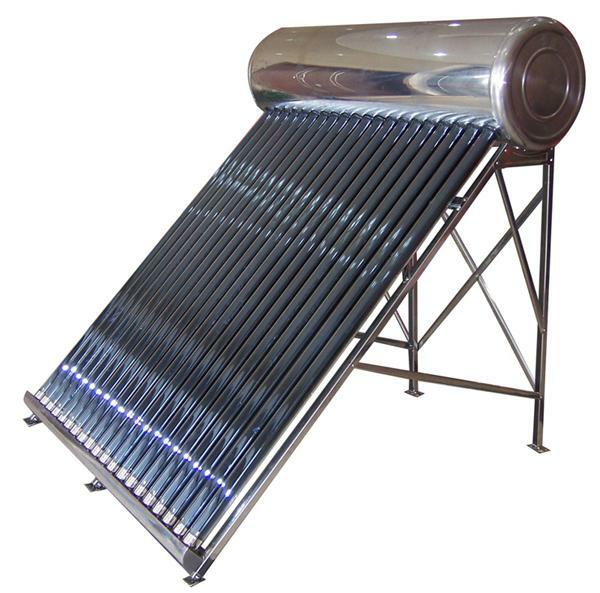 Stainless Steel Compact Solar solar water Heater with 30 vacuum tubes and heat pipe technology. 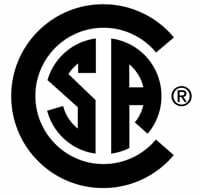 SRCC BOG-300 Certified certified. 5 year warranty. 30 Tubes. 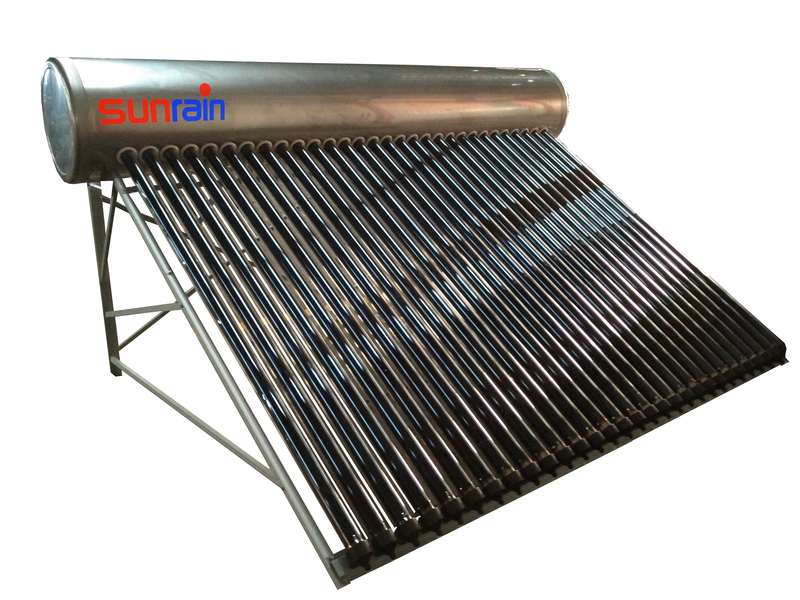 The compact solar water heater is an all in one solution for providing domestic hot water to home or cottages. This unit is a complete system and includes a stainless steel insulated storage tank both inside and outside. 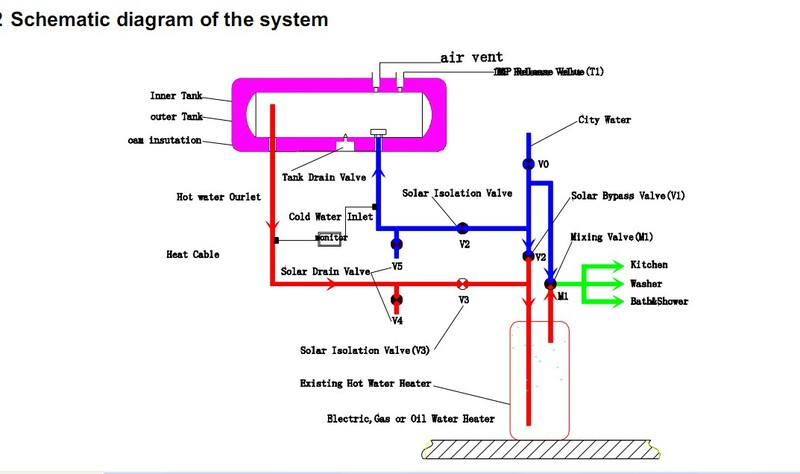 The system will hold 80 gallons of hot water and is ideal for a family of 4 persons. 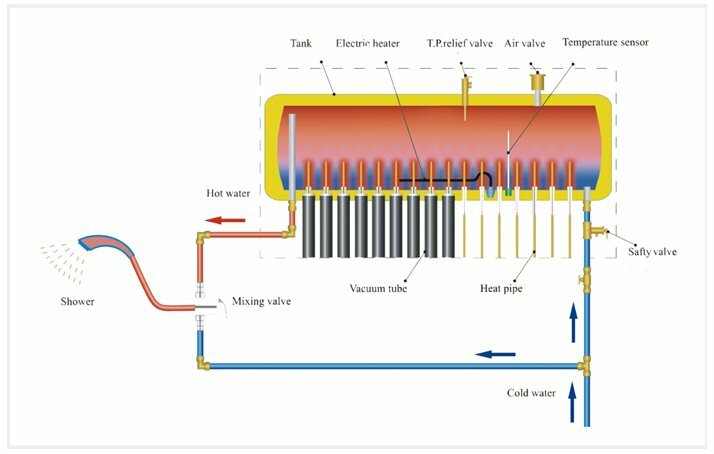 The solar vacuum tubes provide hot water even during cloudy conditions. Installation is quick with no pumps or electricity required. 30% Federal Tax Credit In USA!